In the mid-seventies, I worked as an obstetrical nurse in the labor and delivery rooms of Augusta General Hospital in Maine. Post Roe v Wade, the transition was well underway from abortion as a rare medical necessity to save the life of the mother to common. We witnessed the practice grow from rare to wildfire – sixty million in the U.S. since those early days. The near religious fervor of the pro-abortion lobby seeking ever fewer constraints placed on killing their offspring, at first was a small minority, but well financed. They rode a wave of ironically named ‘liberation’ and ran over all compunctions and objections. Roe was the most liberal decision regarding abortion in the world at that time. It allowed abortion through all nine months of pregnancy. During that time, nurses were sometimes demeaned by a few doctors, but they held firm as they were able. One firm stand for many of us was abortion. We observed with justified concern the decreasing empathy and hardening treatment of both mothers and babies from those doctors who shared one characteristic in their practices: they added abortion provider to their resumes. The doctors plying the termination trade were having difficulty finding OR nurses to attend them in the Augusta General operating room in the basement; at one point the head nurse on the upper OB floor asked us to “help out our doctors.” We refused. Our job was healing and preserving, not deliberately taking life. This was not a religious decision, but a humanitarian one and conformed to the Hippocratic Oath: First, do no harm. One anecdote remains always vivid in my memory and haunts me to this day, nearly forty-five years later. On a typical busy evening, I was helping two young mothers in labor. We had moved on from the scopolamine doping of women to more humane and dignified obstetrical practices. My practice was to try and calm their fear, then guide them through controlled breathing and relaxation techniques. One of my patients was only about sixteen weeks pregnant, and we had no neo-natal intensive care facilities in Augusta. Optimally we would attempt to arrest her sporadic and weak contractions. Standard practice was to start an IV. Hydration and improved electrolyte balance at times could stop premature labor, and the pregnancy could proceed to term. Not that night. Dr. R, one of the more zealous of the pro-abortion OB/GYN practitioners, entered the labor room and spoke briefly to the young mother; I was busy with another patient and not privy to the conversation. He then strode over and instructed me curtly to put an ampule of Pitocin into the IV. Pitocin is a synthetic version of oxytocin, which is a natural powerful hormone that induces more rapid and stronger contractions to intensify labor. We were trying to retard labor or stop it to give the baby her best chance, so I was surprised, then aghast. I refused and told him that if he wanted Pitocin into that IV, he would have to do it himself! 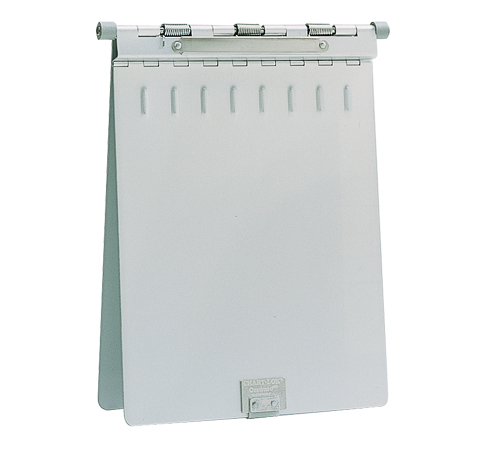 We used metal folding clipboards for medical charts. While I was busy standing at the nurse’s high station writing my own notes, he flung this patient’s metal chart about five feet, hard, and hit me on my left side in the ribs. I never saw it coming. Then he added the Pitocin into the IV. The labor intensified. I was there for the mother and her baby. I monitored the babies heart beat with a fetal stethoscope and told the mother I was getting a good heart beat and added that information to my notes. Inevitably she was ready for delivery and wheeled into the delivery room. At this point, Dr. R’s friend, an anesthesiologist entered the scene. We had many wonderful doctors at our hospital, but Dr. R and this particular anesthesiologist were not among them. This anesthesiologist’s favorite way to summon a nurse was to whistle with two fingers in his mouth. He put my patient deeply under, something rarely done because of risk to the newborn infant. The Pitocin accelerated labor, delivery ran its predictable course, and the unconscious mother delivered her tiny baby girl. Dr. R dropped the baby into a stainless-steel basin nearby normally used to receive the placenta. He finished up quickly and left the delivery room before the mother awoke. Immediately, a nursery nurse, whom I had already warned about the coming of this small baby, rescued the baby from her cold metal refuse bucket, wrapped and carried her to the newborn warming station where she suctioned her in a futile attempt to clear her breathing passages and stimulate breathing. She then rubbed and did her best to comfort this tiny girl. After over ten minutes without a breath, her heart ceased its beat. The scene felt surreal to me; I was out of sync with the events and with the doctors – like a dream, a disturbing dream. I did not know what else I could do. Something like this had never happened to me or the other nurse. When the mother woke from the anesthesia, I told her that her baby was born with a heartbeat but was unable to breath. Still somewhat drowsy, I tried to comfort her, but she seemed hard to reach. I think she too might have felt like she was in a surreal world and not sure how she got there. After her discharge, the mother called a mortician and a funeral was held. The funeral home director received the doctor’s notes, my nurse’s notes and the notes of the nursery nurse who had done her best for the baby. Both doctors described the little girl as macerated, born dead, indeed they agreed she had been dead for a while. Both sets of nurse’s notes described her true condition. Since medical notes can wind up as legal documents, the funeral director notified the hospital administrator of the discrepancy and conflicting narratives. When the nursing supervisor for our shift came to me for an explanation, I assured her the nurse’s notes were the accurate ones and explained exactly what happened. She gave me a knowing look, and I never heard another word. A couple of years later, when we had returned to the faith of our youth, I confessed this incident to our pastor, who remains a dear friend to this day. He suggested lovingly that in the circumstances I tried my best and that I needed to forgive myself. Father Joe further suggested that I should name the baby and pray for her mom and for all that had happened around that difficult night. I named her Gabriella and do pray about this still. I hope to see her again some fine day and have a conversation.